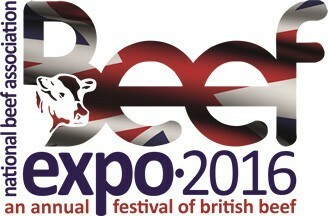 This year, Beef Expo moves to Derbyshire’s Peak District. Organised by the National Beef Association (NBA), the event will be held on Friday, May 20, at the Bakewell Agricultural Centre, which is also home to the town’s livestock market. Judging in the ring at least year’s Beef Expo, which took place at the York Auction Centre. This annual festival of British beef will showcase the evolving industry, advances in technology and focus on how producers can modernise production to meet ever-changing consumer demands. On the day preceding the main event – Thursday, May 19 – the farm tours will feature some of the Peak District’s most noted herds of cattle. These include Chatsworth and Haddon Hall Estates and Hopping Farm, home to a herd of 150 black Limousin cross suckler cows. 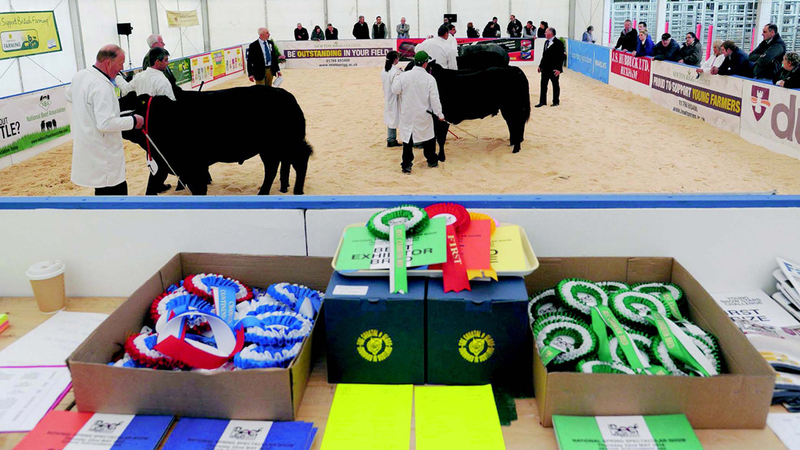 At the heart of the event is the National Spring Spectacular Show, in which 110 of the country’s best pedigree and commercial cattle will be competing in 12 classes, plus championships, for a prize fund of more than £5,000. In addition, there will be seminars, demonstrations and more than 150 trade stands. Following the success of the inaugural Future Beef Farmer Challenge, the competition will be held again this year. Open to teams with members aged 16-25 and individuals aged 16-36, entrants will be tested on their knowledge of breeding and genetics, cattle health, nutrition and cattle selection for slaughter. New for this year is a standalone exhibition which will run alongside the main expo and aims to tell the story of British beef from farm to fork. It will examine where beef comes from and the different stages it goes through to reach the table. Visitors, including members of the public not attending the main event, will be able to find out about different cuts of meat and the best way to use them and witness cooking demonstrations. The beef industry dinner will held on the evening of May 19 at the Devonshire Dome, Buxton, the largest unsupported dome in Europe. The three-course dinner, with the best of British beef, includes a pre-dinner reception drink. The speaker will be Alastair Sneddon, managing partner at Bagshaws and chairman of the 2016 Beef Expo. Tickets are £40 and limited to 400. The farm tours, in and around Bakewell, will give visitors the opportunity to see how two of the leading estates in the county integrate beef farming into their overall enterprise. The Chatsworth visit will include a tour of the estate to see its herd of Limousin cattle, a small pedigree herd of Hereford cattle and see how its farming enterprise operates. This will be followed by a trip to the Chatsworth Farm Shop to meet butchers who prepare cuts from the herds which have been part of the tour. Haddon Hall and estate, owned by the Manners family, is farmed organically and is currently under a Higher Level Stewardship agreement. It is home to one of the largest herds of Longhorn cattle in the UK. Hopping Farm, part of Haddon Hall Estate, is a prime example of a commercial cattle rearing unit, comprising a herd of 150 black Limousin suckler cows sourced from the dairy herd. Simon Frost, who farms the tenancy at Hopping Farm, has a farm business strategy founded upon making best use of proven scientific fact, good stock management and maintaining a market-orientated outlook. Alastair Sneddon, chairman of the NBA 2016 Beef Expo, says: “These farm visits will demonstrate how three successful Peak District beef farmers run its very different farming businesses. “We are delighted to have the two large estates on board and also such a numbers-driven business as Hopping Farm. “The purpose of the tours is a knowledge sharing exercise and, between them, they demonstrate the breadth and diversity of what the British beef industry has to offer.